Brooklyn has eclipsed Manhattan as the harbinger of cool. Part smart, part edgy yet sophisticatedly urban. At the foot of the Manhattan Bridge, The Tillary Hotel amps up the borough’s cool quotidien. From the moment you walk into the hotel, our lobby sets the mood; almost as if you stumbled into the living room of a fashionable and well traveled friend. It’s cozy & comfortable, classy & cunning filled with over sized vintage board games, Reggae music like a "Brooklyn Joint". This is when the guest experience begins. The modern mix of indoor and outdoor spaces encompasses the many hidden gems the hotel has. The spaces inspire mingling among guests to create memories. They stand individually but flow as a one to tell a story. The “Brooklynized” T ROOM café is a perfect setting for a secluded space or to clear mind. The entire menu solely consists of Brooklyn goodies from local businesses. The Secret Side Bar is the ideal backdrop for a moment away from the busy NYC streets. With its chic dive-ish bar vibe for guest to enjoy a Brooklyn take on all their favorites. Its outdoor deck overlooks the neighborhood brownstones. It features igloos like domes during the winter months and barbecuing and games during the summer. The private hangout 6th Floor Terrace is the ultimate milieu to take in the morning breeze or watch the sunset. Complete with bean bags, sun loungers and table seating to enjoy a direct view of the Manhattan Bridge. 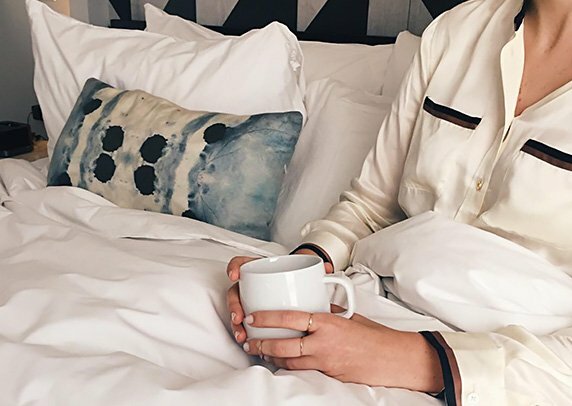 The luxe guest rooms and suites are dressed in Frette linens with Mid-century modern furnishings that expressively raise the bar in Brooklyn. Feeling homey just yet? What really is a perfect hotel? The Tillary Hotel is the epitome of customization. It caters to every guests ensuring that as soon as they step foot on property, they feel at home. The expected essentials amped up with a few delightful surprises, the hotel has it pulled all together with must-have services and free amenities like building WiFi, unlimited in room coffee and tea, unlimited local and international calls and a state-of-the-art Fitness Center. 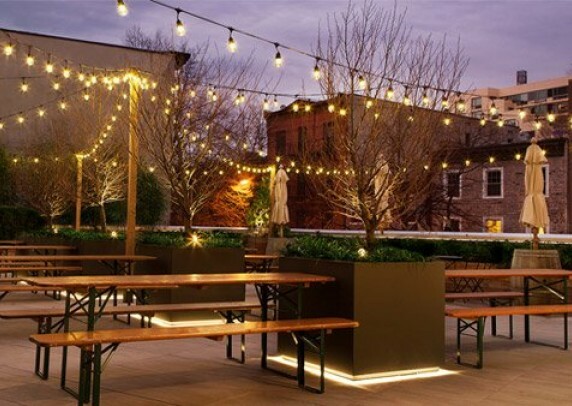 The Tillary Hotel has rooted itself deep within the Brooklyn community by supporting local business and collaborating with Brooklyn talent on a constant basis. The character reflects the Brooklyn culture with a Brooklyn attitude. 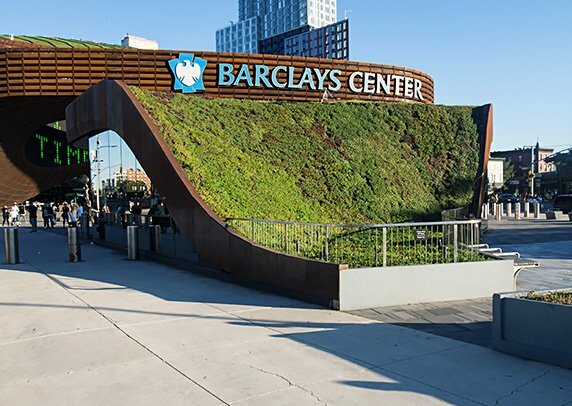 Best of all, guests are a short Uber ride away from the Barclays Center, home of the Brooklyn Nets: New York Islanders and epic concerts. 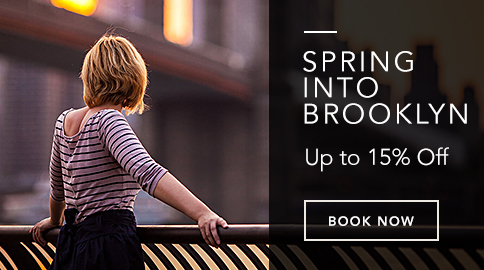 And even shorter ride to Soho should you choose to spend the day in Manhattan. Unless, of course, guest choose to walk over the Brooklyn Bridge.